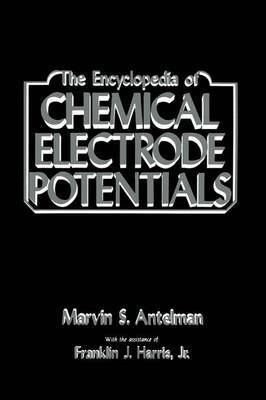 This book is an attempt to compile the most comprehensive listing of chemical electrode potentials to date. In compiling this encyclopedia, many papers, articles, and publi- cations-often with contradictory data-were consulted. Of all the par- published material available, the authors found the following of ticular interest: G. Milazzo and S. Caroli, Tables of Standard Electrode Poten- tials, John Wiley and Sons, Inc. (1978). A. J. deBethune and N. A. Swendeman Loud, Standard Aque- ous Electrode Potentials and Temperature Coefficients at 25 C, Clifford A. Hempel (1964). W. Mansfield Clark, Oxidation-Reduction Potentials of - ganic Systems, The Williams and Wilkins Co. (1960). However, it was our intent also to include unpublished complex forma- tion EMF data. Furthermore, when we consulted published EMF data, we found that the compilations often paid no attention to disparate conditions and varying pressures and electrolyte concentrations. To achieve a useful compilation, we resorted to Nernst equation thermodynamic calculations to reconcile disparate data. We also uti- lized the following relationships to calculate EMF values for inclusion in our tables from association constants: In K = nFE log K = -nE(16. 9) RT As a practical example, consider the reaction 3 Ca + Nta- - 2e = Ca(Ntar We may write 2 Ca - 2e = Ca+ EO = -2. 87 2 3 Ca+ + Nta- = Ca(Ntar E, = ? 3 Ca - 2e + Nta- = Ca(Ntar E2 = ? xl xII INTRODUCTION Given log K Ca(Ntaf = 6. 41, 6. 41 = -(2)(16.